In 1933, Henry H. Braum (Bill Braum’s father) leased a converted house and used it as a small butter processing plant located in their hometown of Emporia, Kansas. A year later, the owner built a new 25×80-foot building so Henry moved production to that facility. Later, milk processing was added. Throughout childhood, Bill Braum helped his father with the family business learning every aspect of the operation. In 1940, Henry Braum expanded the business to include ice cream processing. In 1945, Bill Braum arrived at the University of Kansas and enrolled in Engineering School. After only one semester, he found his calling and enrolled in Business School. After graduating with a degree in Business Administration from the University of Kansas, Bill Braum returned home to Emporia to work for his father and take an active role in the family business. At this time, Bill’s sister introduced him to his future wife, Mary. In 1952, Bill and his father sold the wholesale part of the business. They purchased an old Kraft Cheese Factory that they remodeled into an ice cream and processing plant and began specializing in milk and ice cream. They developed a chain of retail ice cream stores in Kansas called “Peter Pan Ice Cream” named after a local park in Emporia. In 1961, Bill Braum purchased the company from his father and bought his first dairy farm in Emporia. In 1967, Bill grew the chain to 61 stores and increased the business tenfold. He then sold the “Peter Pan” retail stores to a large wholesaler. The sale did not include the Braum dairy herd and processing plant. As a condition of the sale, the Braums were not allowed to sell ice cream in Kansas for 10 years. 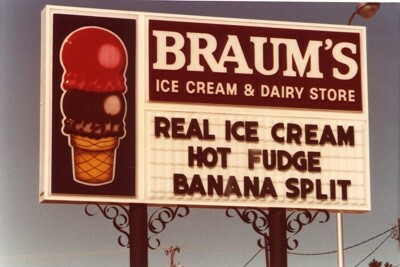 In 1968, Bill and his wife, Mary, opened the first Braum’s Ice Cream and Dairy Store in Oklahoma City, Oklahoma. That year, twenty-three more stores opened throughout Oklahoma. For three years, because the Braum dairy herd and processing plant were still located in Emporia, Kansas, all ice cream, dairy products, and other supplies were transported daily from Kansas to Oklahoma. In 1971, a new 60,000 square-foot processing plant was built in Oklahoma City. 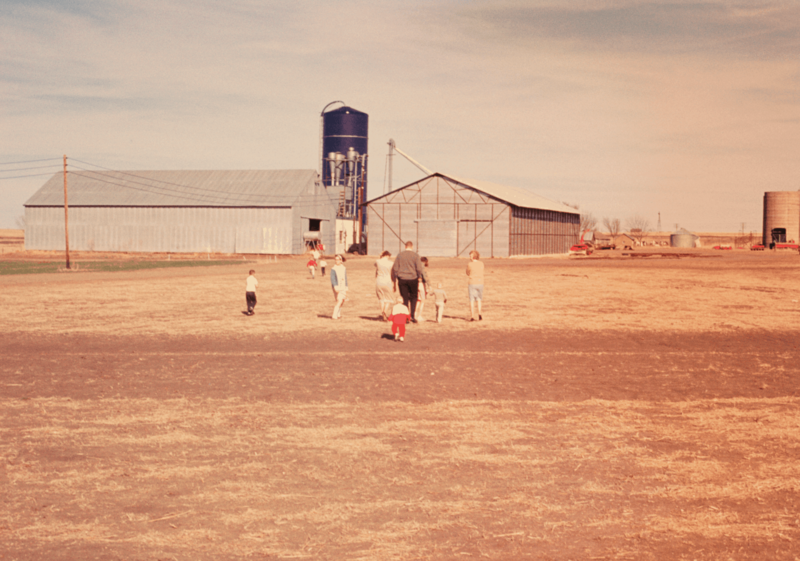 By 1975, the Braum’s dairy herd, the largest dairy herd in Kansas moved to Oklahoma. This “modern-day cattle drive” consisted of over 900 cows traveling down the highway in a convoy of semi-trucks to their new home at the Braum Farm in Tuttle, Oklahoma. 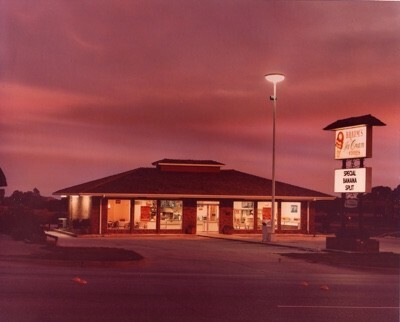 In 1978, the original Braum’s bakery was built next to the processing plant in Oklahoma City. This facility produced the fresh bakery items available in Braum’s stores including cookies, ice-cream cones, buns, loaves of bread and much more. Bill and Mary Braum purchased several farms in southeastern Oklahoma including Stonewall, Asher, Wanette, and Byars. 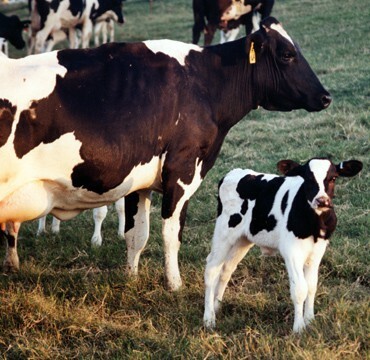 Each of the farms played a unique role in the Braum operation, from growing feed for the dairy herd to raising each new generation of calves. 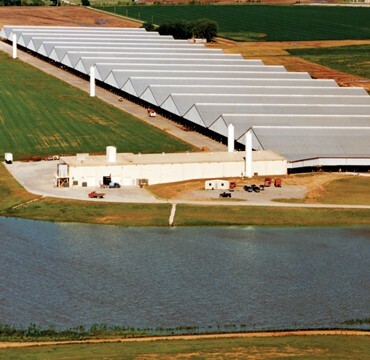 In 1987, with the need for a larger processing plant evident, Braum’s construction crews built a 260,000 square-foot, state-of-the-art processing plant on the Braum Farm in Tuttle, Oklahoma. 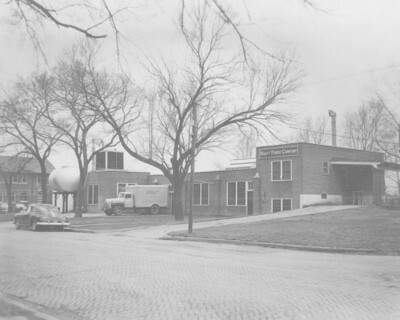 The original processing plant in Oklahoma City became the site for Braum’s Corporate Offices. In 1988, Bill Braum purchased the farm that lies on the border of Follett, Texas and Shattuck, Oklahoma. This farm is primarily used for growing alfalfa hay to feed the dairy herd. Over the years, this farm has grown to 24,000 acres, about 38 square miles. In 1993, Braum’s construction crews built what is touted as one of the largest milking operations of its kind in the world. Built on the Tuttle Farm, it consists of a milk barn and 17 free-stall barns (covering 35 acres) that house the Braum’s private dairy herd. In 2002, Braum’s construction crews built a milking complex on the Follett Farm. Although smaller than the milking operation in Tuttle, the private dairy herd at Follett provides thousands of gallons of fresh, raw milk each day. This milk is then transported to the Braum’s processing plant in Tuttle. Calves born and raised on the Follett Farm will eventually become part of the milking herd. All of the bull calves from both Tuttle and Follett are raised here as well. In 2008, three thousand calf hutches and pens were installed to house the replacement heifers on the Tuttle Farm. These heifers will eventually become part of the milking herd. 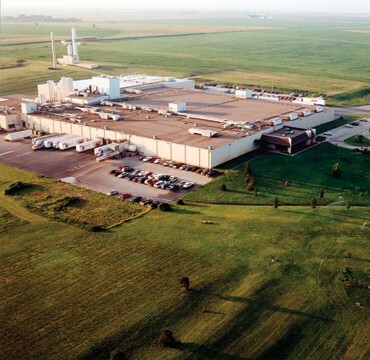 In 2010, Braum’s built a new 240,000 square-foot bakery and warehouse distribution facility adjacent to the processing plant on the Tuttle Farm. Also that year, Bill Braum designed and built a “cow trolley” to transport the dairy herd to and from the milk barn. This eliminated the long walk several times each day and improved the cows’ overall comfort. Today, the Braum family owns and operates 280 stores located throughout Oklahoma, Kansas, Texas, Missouri and Arkansas. 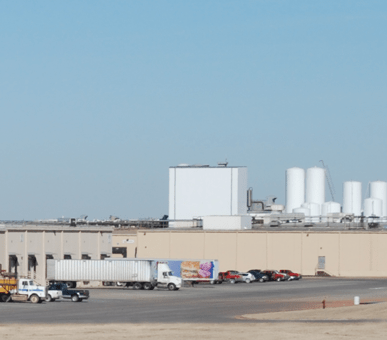 All Braum’s stores are located within a 300-mile radius of the Braum’s Processing Plant located in Tuttle. Their fleet of delivery trucks are on the road seven days a week delivering fresh product to each store every other day. Bill Braum, a pioneer in vertical integration, oversees every aspect of the operation from farming to manufacturing to retailing. This devotion to quality has been the foundation of everything we do at Braum’s. We are dedicated to offering the very best to our customers and our commitment to excellence will continue for generations to come. 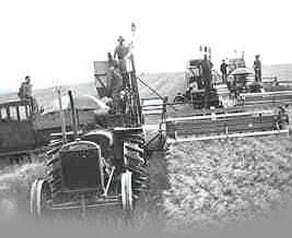 As you can tell, the roots of our business were laid in the 1930s. However, we officially became the Braum’s you know today in 1968 when Bill and Mary Braum opened their first store in Oklahoma City. The company continues to be family owned and operated. 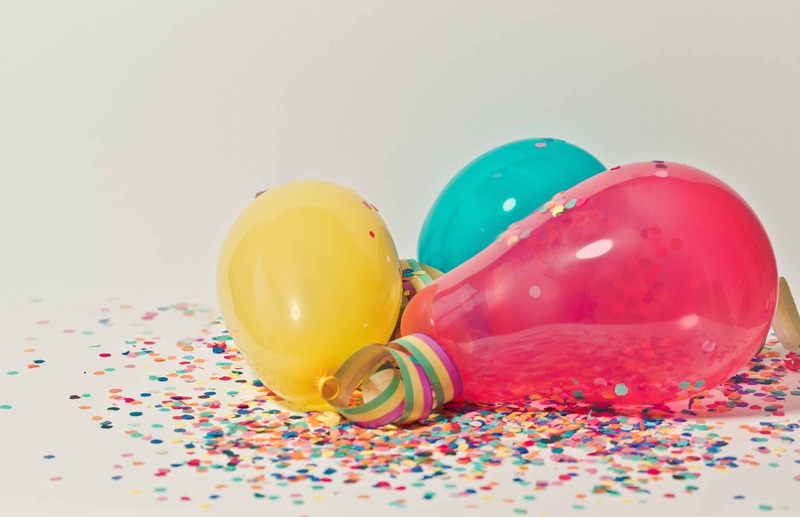 This means we’re celebrating our 50th birthday in 2018.